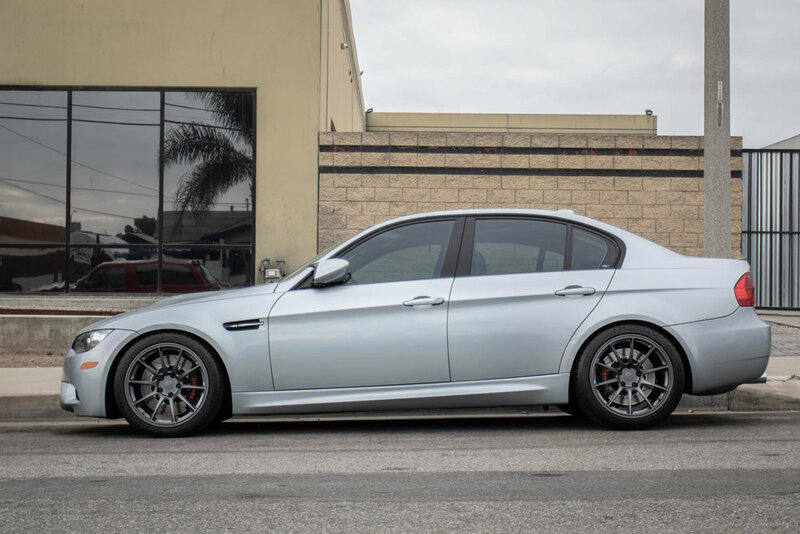 The used M3 sedan came with 85k of unknown miles. 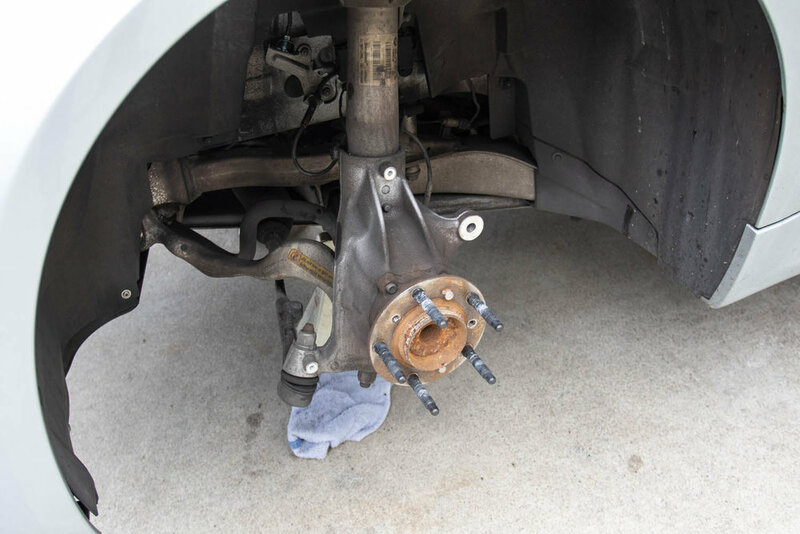 There was a shimmy in the steering under hard braking and as in any case - its wise to review the braking systems on an any vehicle. There was plenty of pad life, perhaps a recent update. 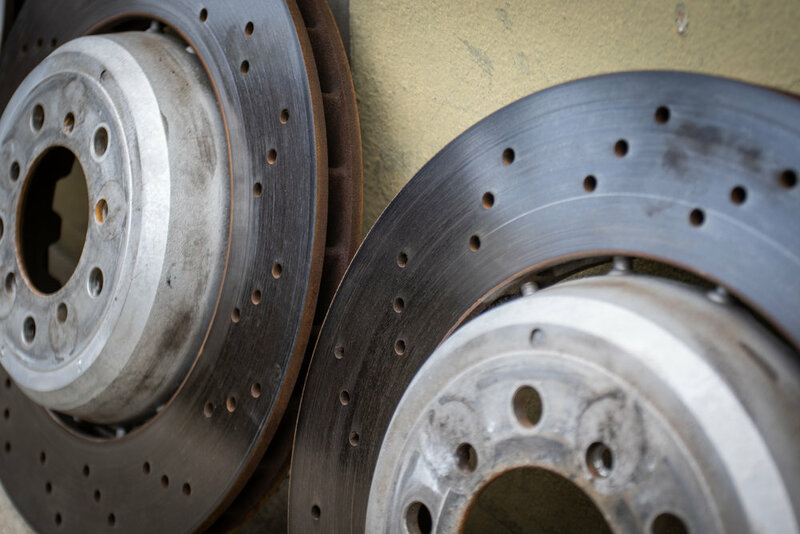 The rotors were grooving a bit and some of the holes had started to form hairline cracks. I doubt this car was heavily tracked, but perhaps was a canyon carver? In any case - the shimmy was getting annoying and a refresh was in order. I started looking at OE brake components, upgraded replacements and such and was disappointed with the direct replacement rotor options. I was looking for something that provided decent long terms serviceability and high quality that was't the OEM cross-drilled parts. The nicer units are priced fairly high like the PFC and StopTech products though are very nice pieces. There seem to be even less rear rotor options. Now all this didn't even address the calipers, which I feel like are one of the shortcoming of this car. A decent rotor, pad, SS line and fluid combo goes a long way for track durability and longevity, though many still report fade and poorer performance. 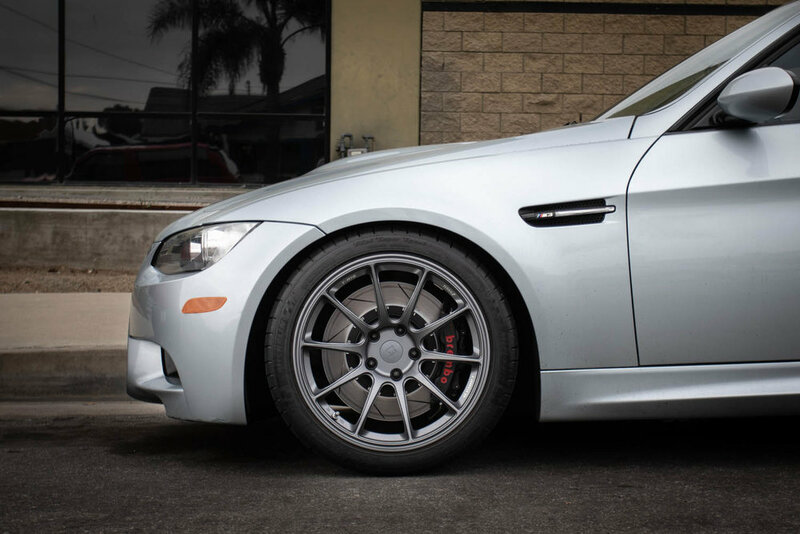 The e90 M3 CRT was built with a set of Brembo calipers with some larger OE style rotors (perhaps Brembo as well?) which I found interesting. The 6-piston front and 4-piston rear setups seem like a much more logical solution for this platform. 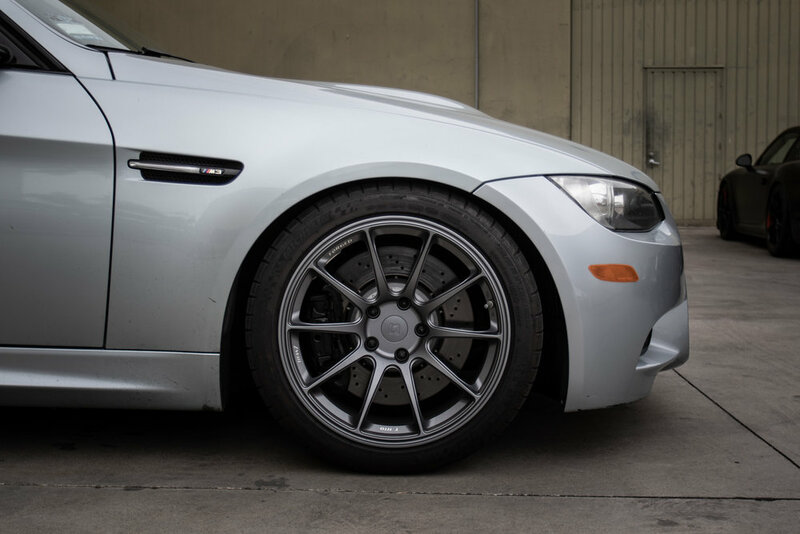 BMW shipped F30 and F80 platforms with mono bloc calipers from the factor, perhaps acknowledging the need and appeal. 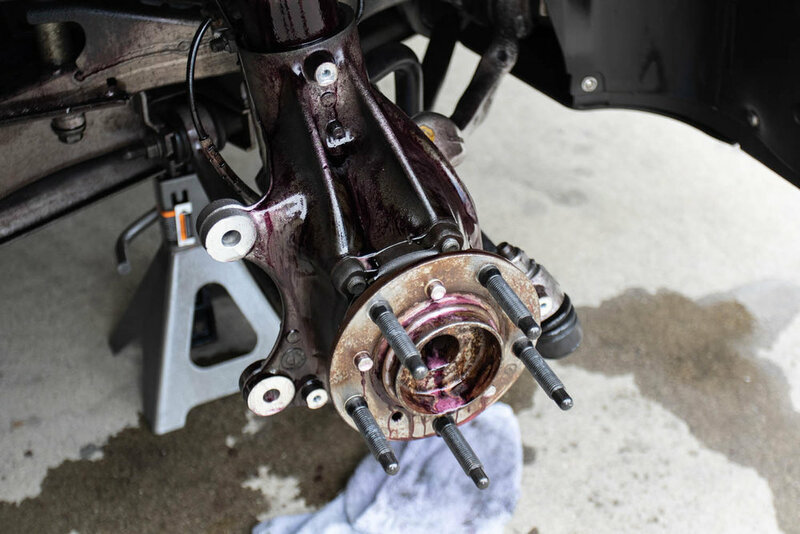 Since I am building this M3 as a road/track ready machine - I skipped over OE replacement upgrades and started speccing out a balanced brake system. 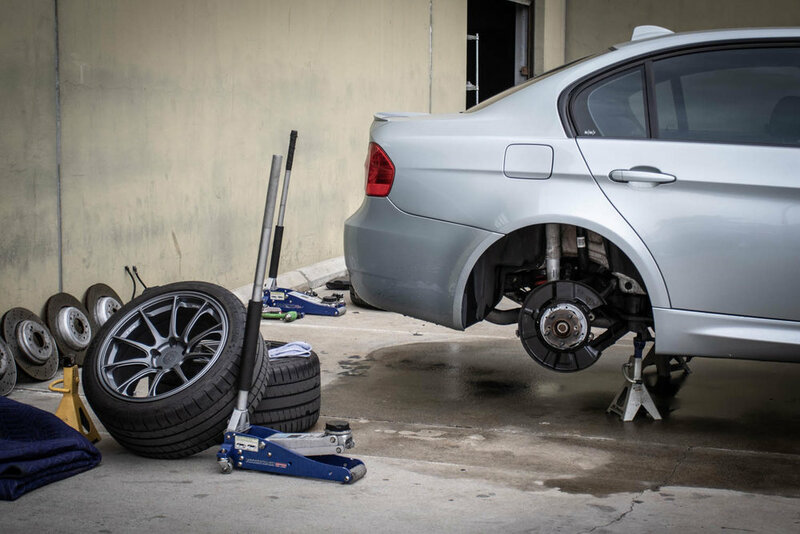 Criteria was simple: front and rear paired systems with great functionality and support for servicing, plug and play obviously with easy 18" wheel fitment. I also wanted something that wasn't a bright color. After looking at the market options I really liked the Brembo GT-R system with all the features and the nickel finish. 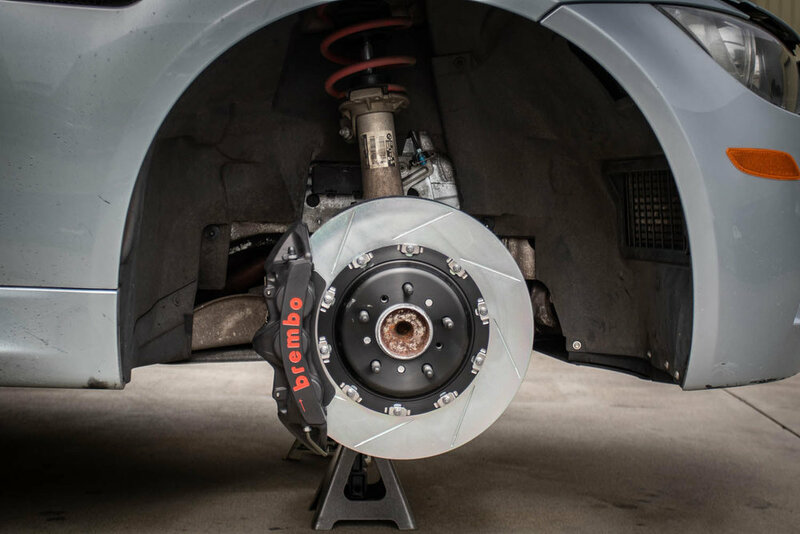 Its quite a high dollar system which put it out of my range until I came across a new setup from Brembo - The GT-S Systems. The guys at Race Techonologies were very helpful in outlining the differences and benefits of this and how it falls between the GT and GT-R lines. The main being the pistons, featuring the higher grade heat exchange characteristics and no external dust seals. The exterior finish is a hard anodize black with the classic motorsport Brembo red lettering. The kit I opted for was the smaller unit which ensured more wheel compatibility while maintaining great performance. Front rotors are at 365x34mm and the rears are 345x28mm and come with adapter brackets, hardware and stainless steel braided lines. Standard issue TS20 pads all around. I flushed the whole brake fluid system, removed all OE pieces. Because I have OCD - the front and rear uprights got hosed with cleaners and the front dust shields were cleaned in the ultrasonic tank. Who knew they were gloss black! The Brembo pieces went on smooth and the install was finished off with some new Brembo HT64 brake fluid and a thorough flush. Needless to say the build quality is great. The whole setup as an OEM-like look, disappearing into the shadows of the wheel. Braking is now massively predictable, consistent and stable. 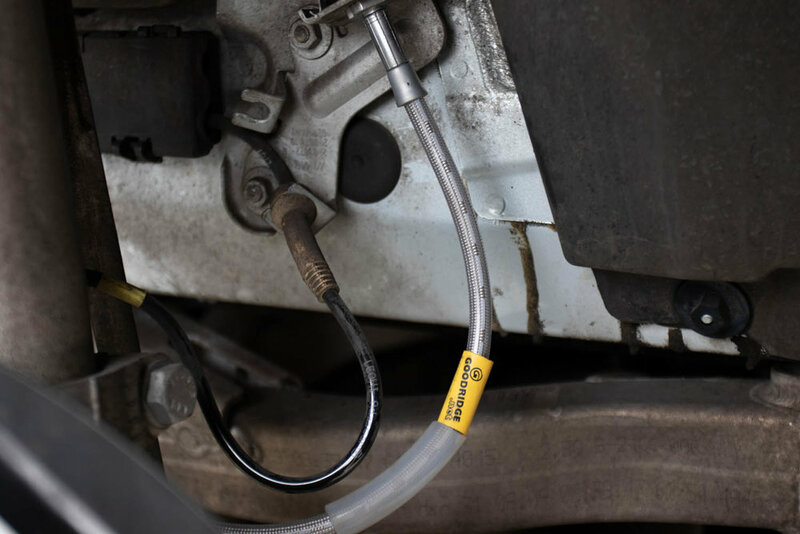 Modulating brake force is a lot easier with much better feedback from the system. I am very much looking forward to putting these to use on the track once some other bits get upgraded on the car.